USA, 1950s This coffee table by T.H. Robsjohn-Gibbings features sculptural plumed sides and has been expertly refinished. Original tag on underside of table. USA, 1950′s This desk by T.H. 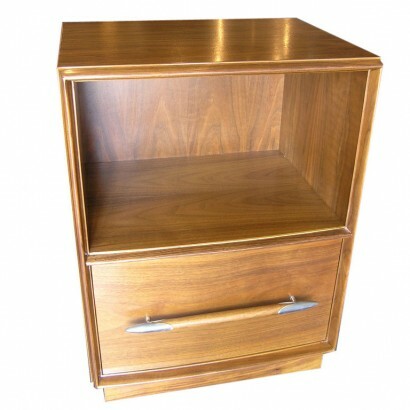 Robsjohn-Gibbings for Widdicomb features seven drawers, including two deep drawers with dividers for file folders. The original tag remains intact. USA, 1950s Pair of nightstands by T.H. Robsjohn-Gibbings for Widdicomb. Each is composed of two drawers above an open storage area. These two-tone nightstands are newly refinished with a mahogany-colored exterior and a natural walnut interior. USA, 1950s This pair of nightstands by T.H. 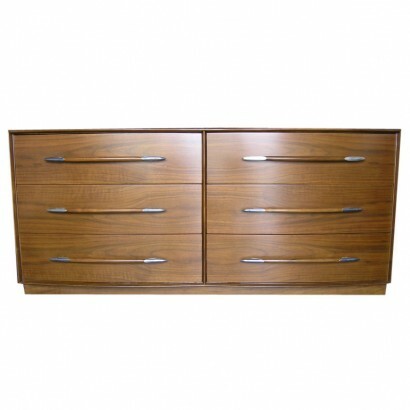 Robsjohn-Gibbings for Widdicomb feature a large drawer with aluminum-detailed pulls. USA, 1950′s This comfortable armchair will fit any modern decor. 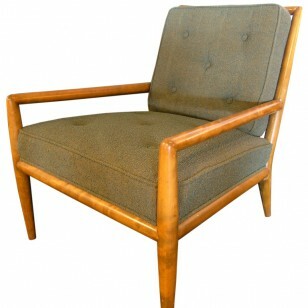 Newly re-upholstered in green boucle textile, it is in excellent condition. 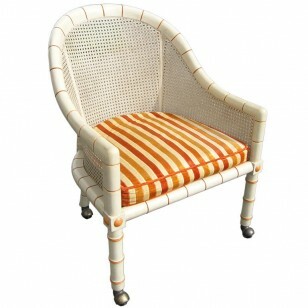 USA, 1960′s This beautiful armchair by John Widdicomb features a playful cream and orange color scheme. With original striped velvet textile.